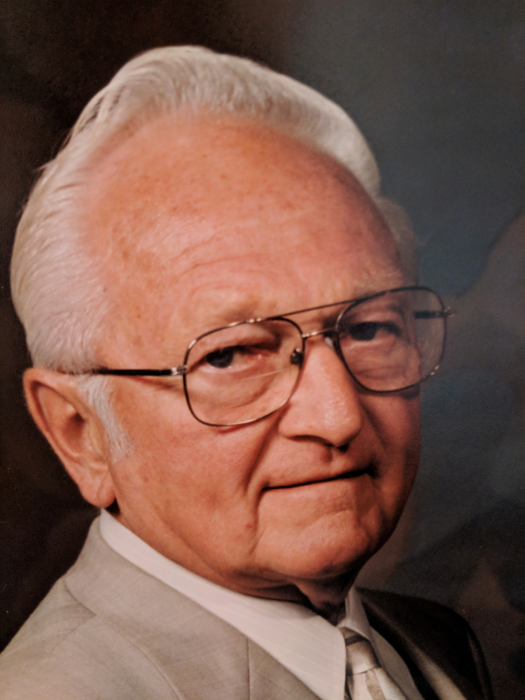 Benjamin L. Baltzer, 87, Johnstown, passed away September 7, 2018 at home. Born May 25, 1931 in Johnstown, son of Paul and Amelia (Fondelier) Baltzer. Preceded in death by parents; sisters, Gertrude Carnes, Dorothy Brown, Myrtle Keifer, Mae Sharp, Ruth Meredith, Polly Werder and Peggy Kasay; brother, Glenn Baltzer. Survived by loving and devoted wife of 66 years Dolores (Nagle); children, Dennis married to Patricia, Diana wife of William Bent, Elaine Marsh, Brenda wife of Scott Swaltek; grand children, William Bent married to Laura, Bryan Bent, Kourtney Baltzer, Kayla Swaltek; great grandchildren, Charlotte and Adelaide Bent, brother Charles and numerous nieces and nephews. He was a member of Trinity Lutheran Church. He loved collecting cars and was a loving and devoted husband, father, brother, grandfather and great grandfather. Benjamin retired from Bethlehem Steel after 43 years as a pipe fitter. He also worked for a number of years at Roxbury Tire. Friends will be received Sunday from 2:00 - 6:00 pm at John Henderson Company Funeral Home, 215 Central Ave., where a funeral service will be held Monday at Noon, Rev. Toby Holland. Interment Grandview Cemetery. Donations may be made to Windber Hospice or to Alzheimer's Association 1100 Liberty Ave. Suite E201, Pittsburgh , Pa 15222.